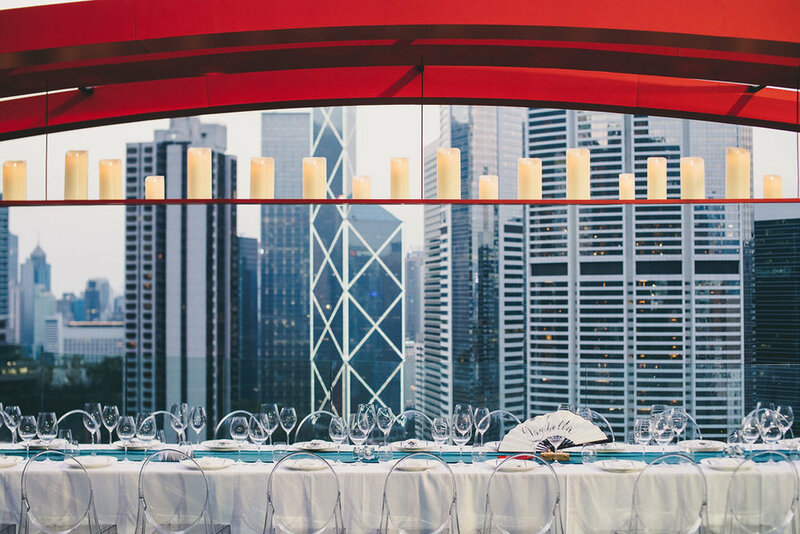 ouge was founded in Hong Kong in 2015 by Frenchman Saoud Maherzi, former managing partner of celebrated Parisian restaurant Darling’s, and founder of French events agency Caprice Groupe. Saoud was soon joined by Creative Director Louis Chon, a specialist in venue concept and design. Rouge opened in Shanghai in 2018. One of the fastest growing creative studio and event production agencies in the region, Rouge is known for its luxury brand events and large-scale productions. Rouge specialises in selecting and customising unique and exclusive venues for the most prestigious brands, developing innovative event concepts, and creating engaging retail experiences. Dedicated to broadening experiences and giving a sense of uniqueness, Rouge services include audiovisual production, interactive installations, and both large-scale and boutique exhibition structures. In addition to tailor-made events and experiences in exclusive venues, Rouge develops interior designs for restaurants and bars. former managing partner of celebrated Parisian restaurant Darling’s, and founder of French events agency Caprice Groupe. Saoud was soon joined by Creative Director Louis Chon, a specialist in venue concept and design. Rouge opened in Shanghai in 2018. Rouge is known for its luxury brand events and large-scale productions. developing innovative event concepts, and creating engaging retail experiences. Rouge services include audiovisual production, interactive installations, and both large-scale and boutique exhibition structures. Rouge develops interior designs for restaurants and bars.